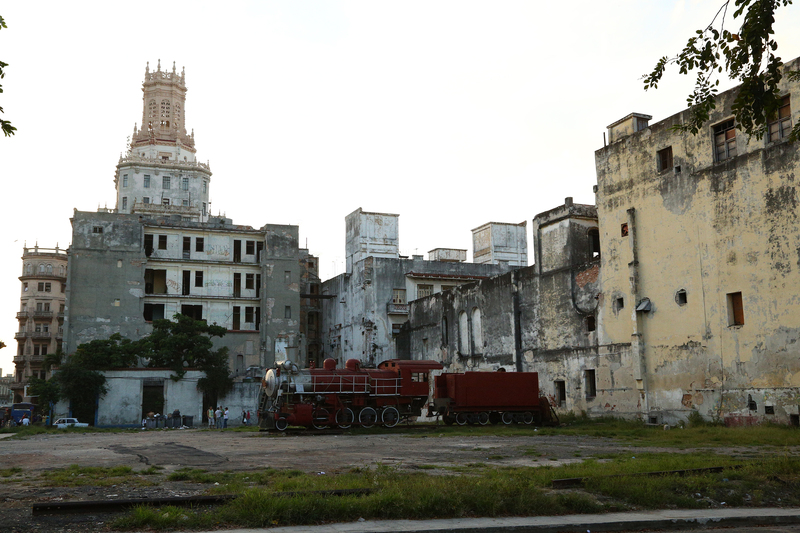 The busiest of these streets empty into one of several squares reminiscent of the plazas of Spain that Cuba’s colonizers brought to the island from their homeland. The remains of Spanish explorer Christopher Columbus (Cristóbal Colón) were buried in Havana for about a hundred years until the end of Cuba’s war of independence against the Spanish in 1898, known as the Spanish-American War. 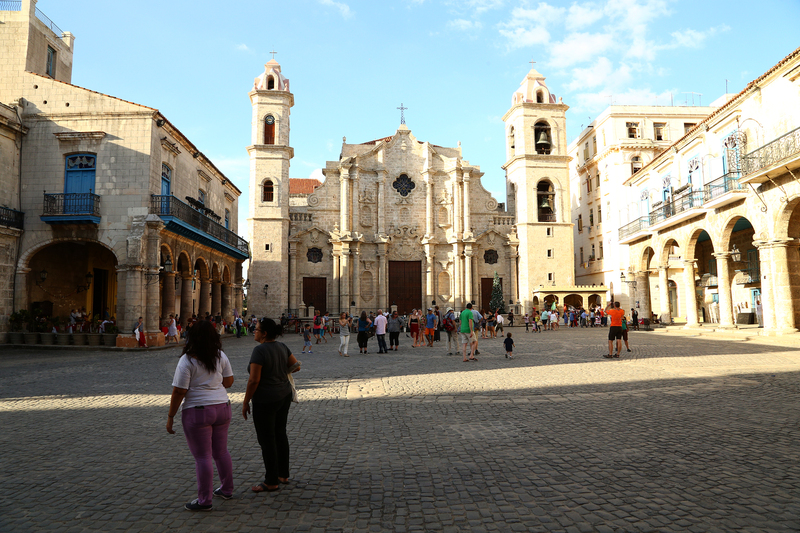 Old Havana’s Plaza de la Catedral. 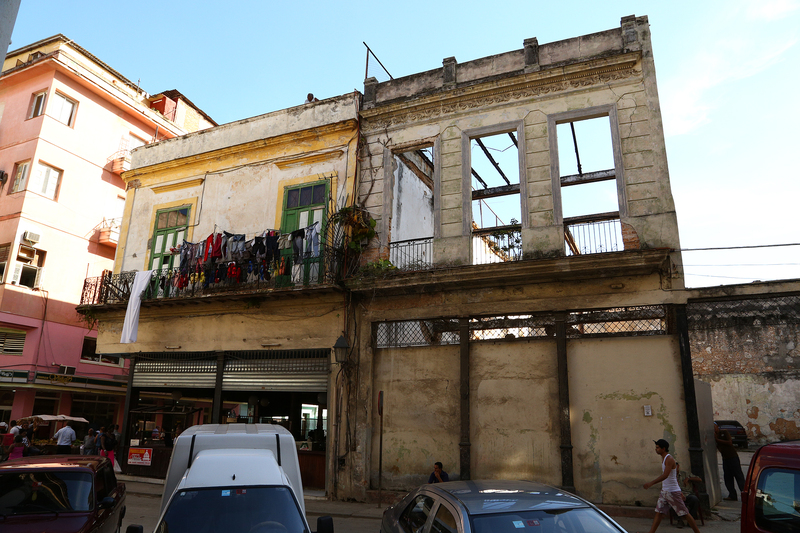 Over the last 30 years following Old Havana’s declaration as UNESCO world heritage, there has been a concerted effort to restore the crumbling buildings, but limited resources have meant only a fraction of the buildings have been repaired and brought to their former lustre. Still, the area was crawling with foreigners eager to soak themselves in the music, culture, history and humidity of the old city. 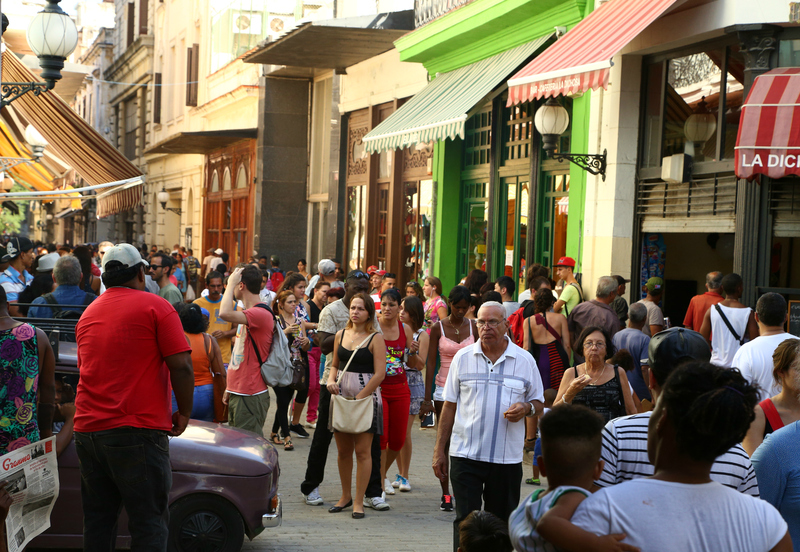 Obispo Street, one of Old Havana’s busiest pedestrian walkways. The buildings in the old city were built in the 17th and 18th centuries and they look it. Many have been unable to resist the weight of time and decades of neglect. Some have been reduced to mere shells, while others are simply uninhabitable heaps of debris contained by walls and ceilings. 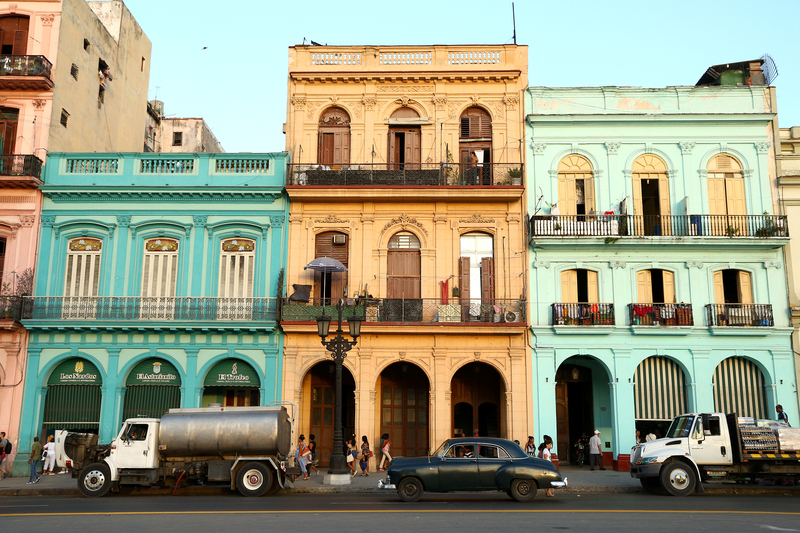 But old is a relative term in Havana. 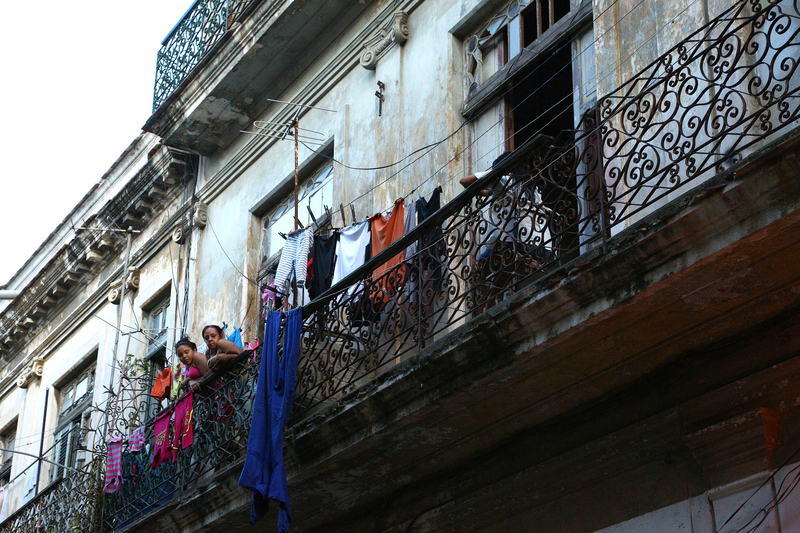 As you move west, out of the old city and tourist hub, “modern” Havana comes into view. 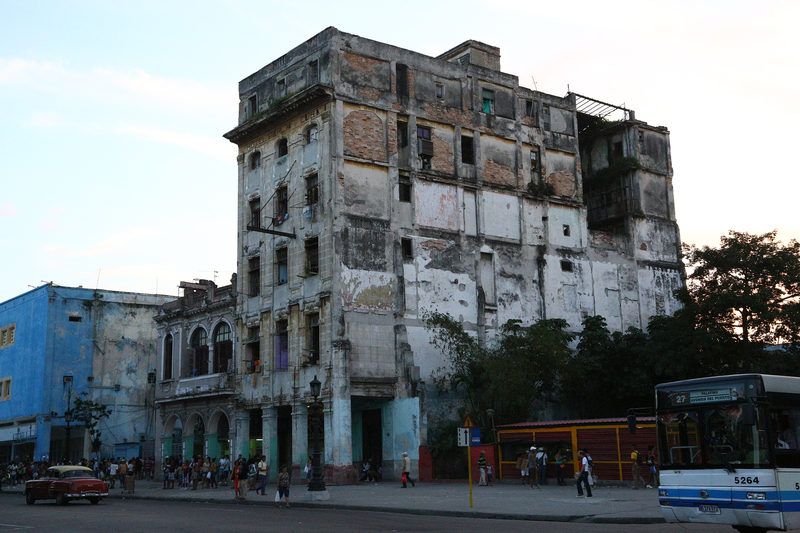 According to the guide on the bus that dropped us off in the city, the buildings in modern Havana went up in the early 20th century, so most of them have been there for a hundred years or more. What ties the old and modern parts of the city together, though, are the people. 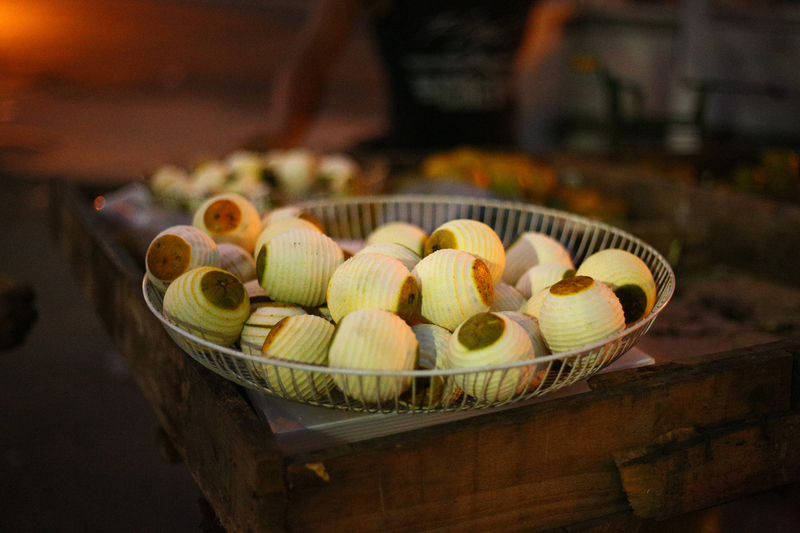 As you cross the Paseo de Martí avenue and pass alongside the imposing Capitolio (currently undergoing major restoration), the transition from tourist zone to the city of Los Habanos begins. 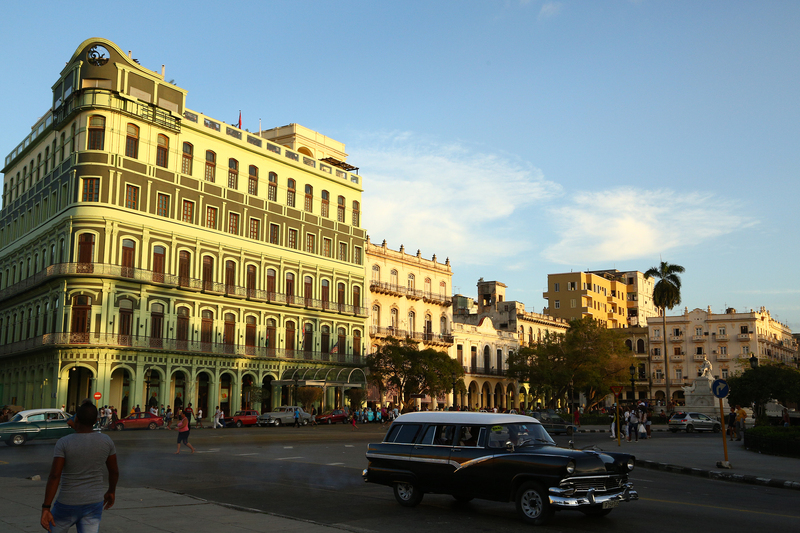 A classic 1950s station wagon drives away from Paseo de Martí avenue on the edge of Old Havana. 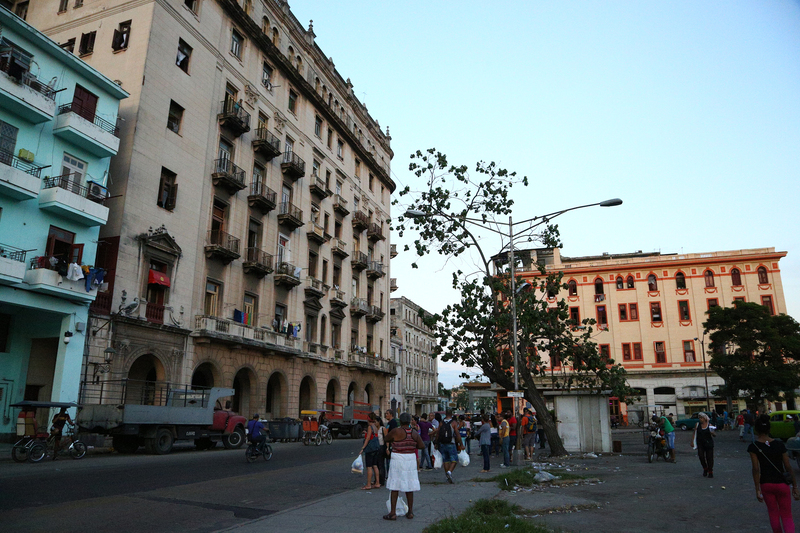 The transition into Havana’s Chinatown is marked by two things: one, a noticeable decline in the condition of the buildings and tidiness of the streets and two, a sudden absence of tourists. The difference is stark. We became instantly aware of it and self-conscious. 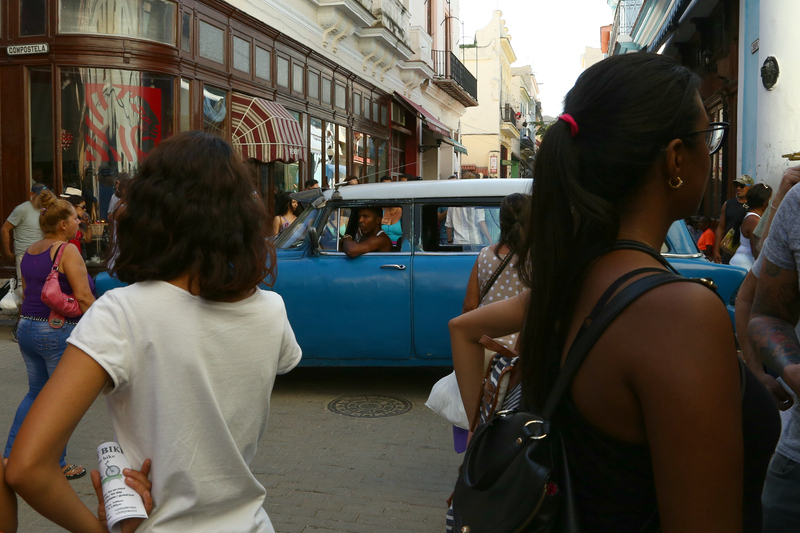 But of course, leaving the strangely familiar surroundings of a tourist district was the only way we would get a taste of the Havana of everyday Cubans. And the night was just getting started. 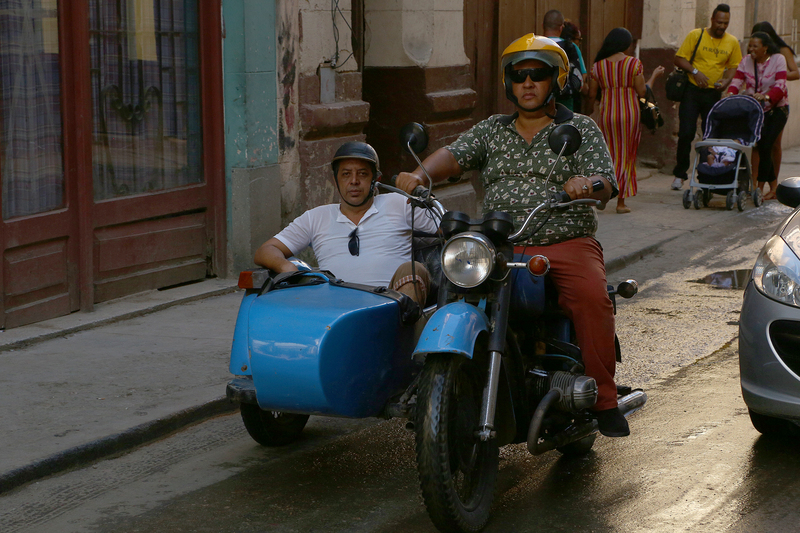 That’s when we met Vladimir and learned how to eat oranges in Havana. 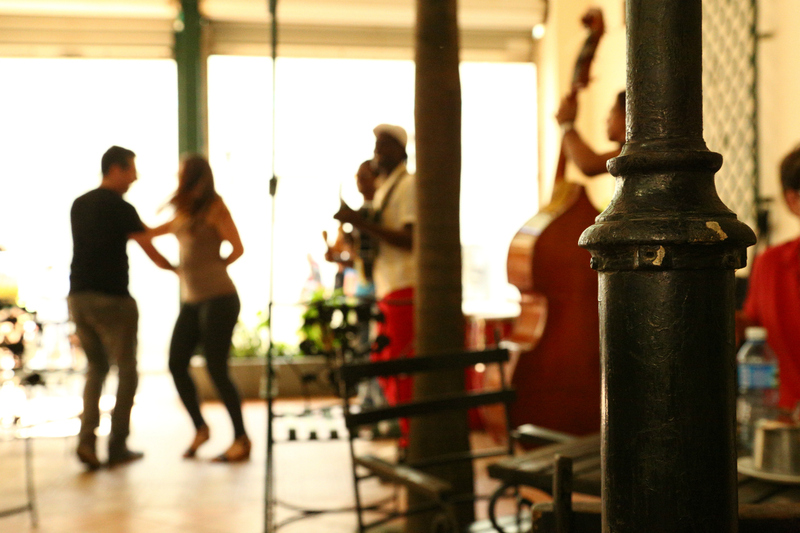 Stay tuned for Cuba’s People in Photos: An Evening in Havana.